In March 2015 the 'solar farm' on Wymeswold airfield was being extended. 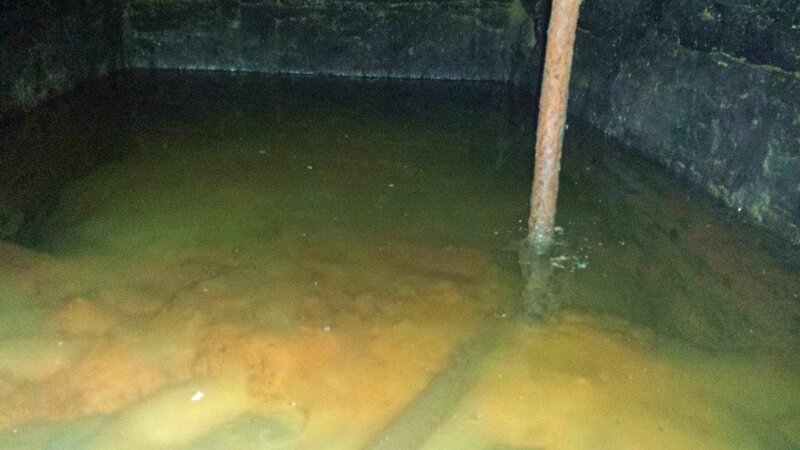 I received an email from Alexander Haddington to say that a friend of his had noticed that an old well had been uncovered to the north of the perimeter track. He thought the photographs his friend had taken 'would be of interest'. 'Yes, very much so!' was the gist of my reply. These are the only known photographs of the Sisters' Well which was described in The Wolds Historian No.3 (2006) (see 'Wold's wells). 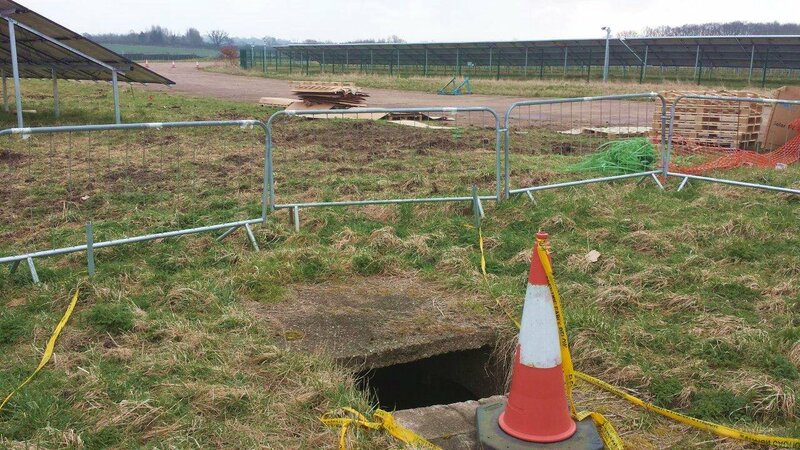 Sisters' Well (also known as Jacob's Well) is on the perimeter of the disused airfield. 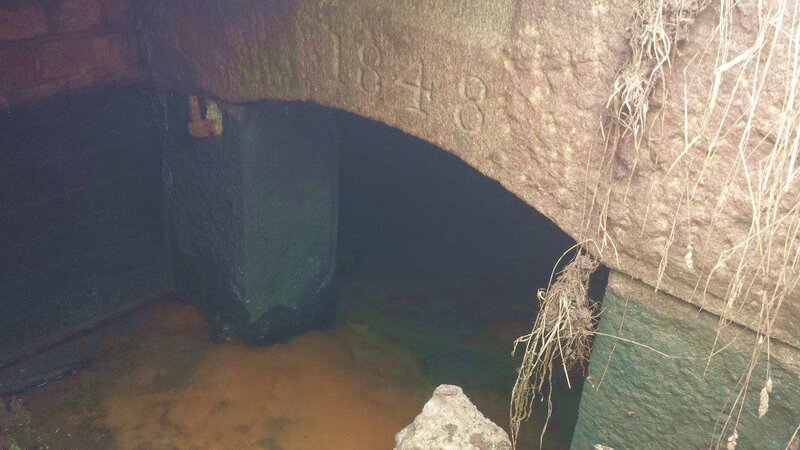 A simple stone structure with steps down and wooden doors stood until World War II but the flow has now been culverted. A legend associated with this well tells how, during a three-month long drought, a sixteenth century maiden lady called Gertrude Lacey dreamed three times in one night of finding a stream by sticking a pilgrim's staff from the Holy Land in a specific place. It was located in Langdale Field, and known as Spring Close after Enclosure. A pilgrim's staff was dug up and, with the help of her sister Grace, she went off to the location. When the staff was stuck in the ground a supply of water was created which 'has never run dry'. A double effigy in Prestwold church reputedly depicts these two sisters. A map on page 9 of of The Wolds Historian No.3 shows the location. Philip Whitealso wrote about 'The two unknown ladies of Prestwold' in the WHO Newsletter 2001. The photographs reveal just how substantial this well is, and that it remains in a substantially good state of preservation. What no one previously know is that a date and initials had been carved into the lintel above the steps. The date and initials intrigued us and I was looking through the 1851 census last night to try and identify HL. 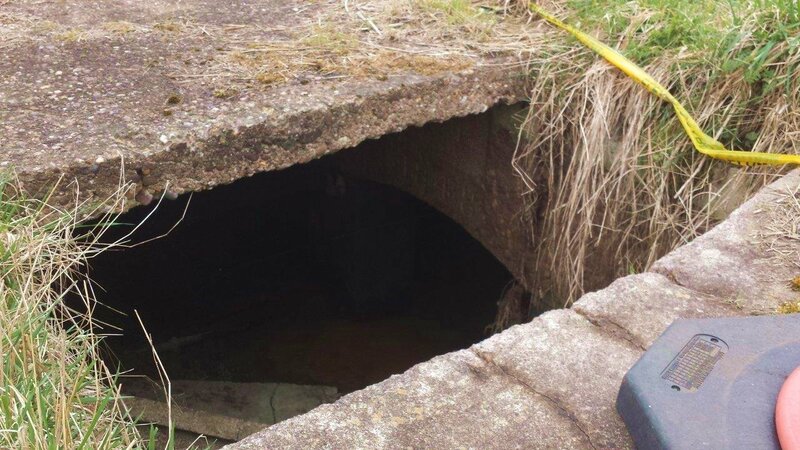 As soon as I found the name Henry Lacey I was fairly satisfied that it was the Lacey family who had either found the well or, assuming it is older, had built the approach to it. We looked at a map of the estate, the field appears to belong to the Packe Estate (or did) but the Lacey family owned land close by so it would be likely that they rented it and had perhaps rented it for many generations. 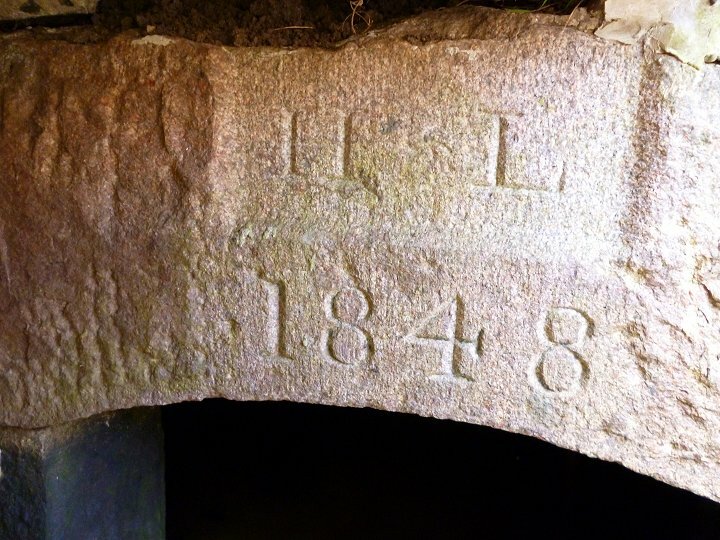 Perhaps we should not be too surprised that a descendant of Gertrude and Grace Lacey, who lived at Hoton in the sixteenth century, should inscribe his initials on the well over three hundred years later. Another local resident, Hellen Jarvis, spoke to the landowner, Edward Packe. He informed Hellen that a fence will be constructed around the to prevent livestock from falling in. Edward informed Hellen that he assumes the steps are Victorian in age, but believes the lower pasts of the structure to be older. Please note that the well is on private land so anyone intending to visit must liaise in advance with Edward Packe. My thanks to Sandy Haddington, his anonymous friend, Hellen Jarvis and Joan Shaw for making this short article possible.